Watch out, world: Jessica Dobson, the mega-talented, guitar shredding, key pounding, badass chick who has worked with The Shins, Beck, Connor Oberst, and the Yeah Yeah Yeahs has created an album that will blow your mind. Her solo project, Seattle-based Deep Sea Diver is a sensitive rock band, with a sound unlike just about any other band out there right now. 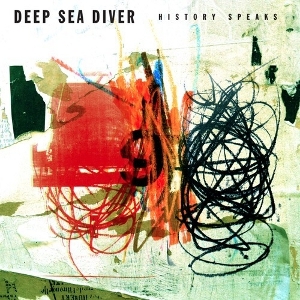 Deep Sea Diver‘s first full length album History Speaks is a collection of both slow and fast-paced tracks. Backed by her hubby Peter Mansen on drums and John Raines on bass, Dobson’s forceful yet feminine vocals are highlighted by consistently intricate textures and harmonies. Lyrics are simple yet profound and contemplative; each track blurs the line that stands between ballad and a rock song. The first single off of the album, “You Go Running” is an upbeat track with an addicting synthetic background and strong bassline. The title track “History Speaks” is a love song void of the usual cheesy trappings. Dobson sings, “I am yours. When I’m still asleep you comfort me. Into your arms, I will surrender. History speaks and I’m still listening.” You might as well tell your other favorite bands that they are going to be ignored for a while. After one listen of this beautifully crafted album, you’ll be hooked. Deep Sea Diver will begin touring with The Shins starting in June.